Pure cotton textured white based shirt with threaded embroidery on the back and complete dress look on the front. 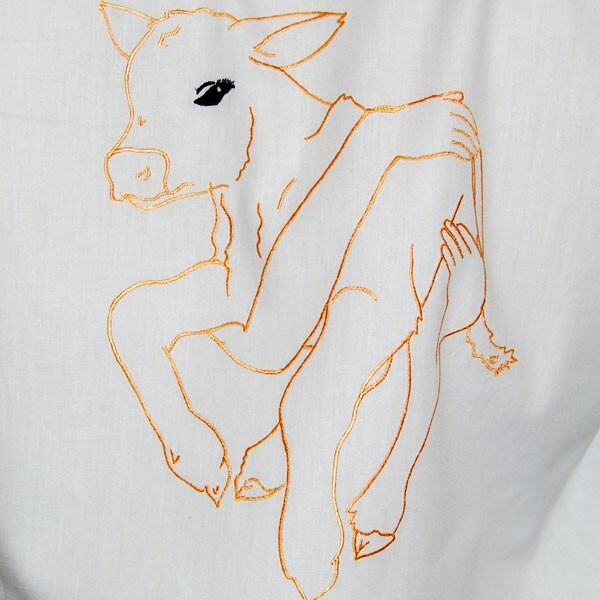 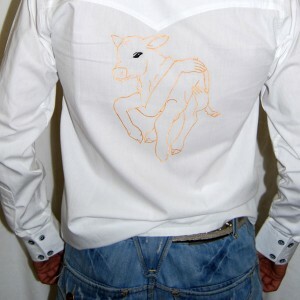 The silkened orange colored embroidered cow held in arms on the back side compliments the shirt. 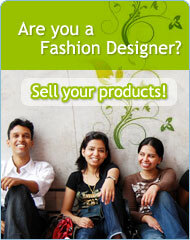 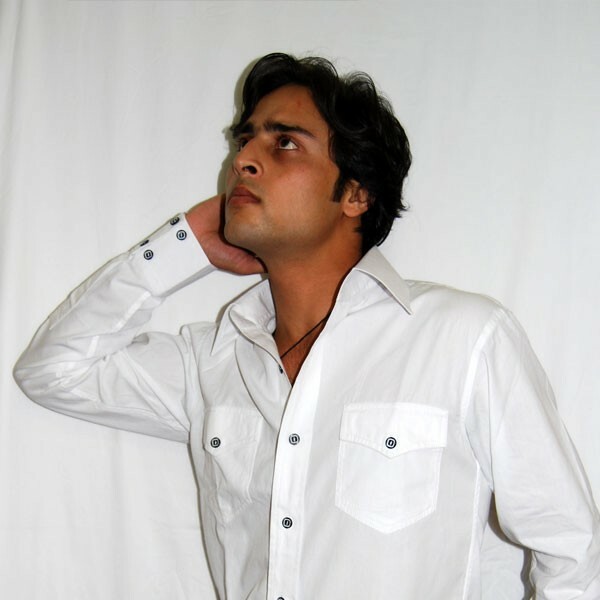 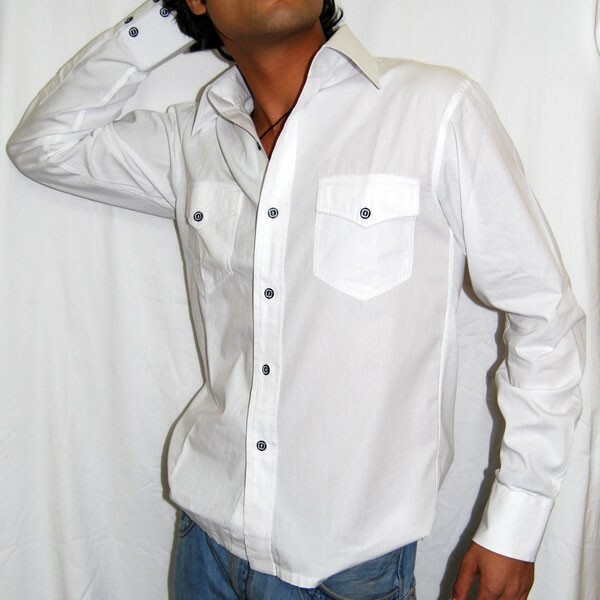 The shirt has an arched shoulder stitch. 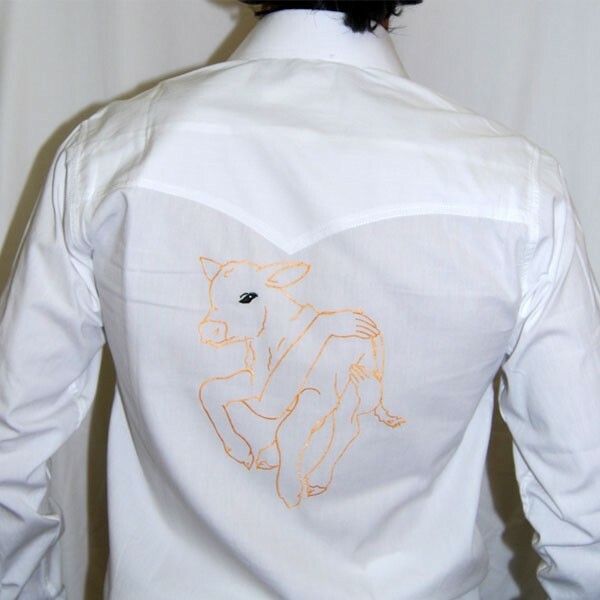 The cuffs are made with pair of two black and white circled buttons on each side to complete the dress shirt.